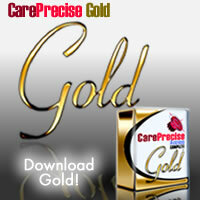 CarePrecise Platinum packages all of the CarePrecise healthcare provider data on the full 5 million+ U.S. healthcare provider community, plus deep data on professionals, group practices and hospitals, PLUS geocoding and econometric data and the powerful CP ListMaker tools to develop highly refined segment and target lists, PLUS our SharpMail list preparation software -- all in a single package. 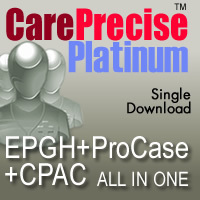 Platinum includes the Master Bundle of CarePrecise HCP data, including both the CarePrecise Access Complete (CPAC) and Extended Professional, Group and Hospital (EPGH) data. Select a one-year monthly subscription to data updates, or a one-year quarterly subscription, or a single dataset purchase. Subscription plans include the listed release schedule for the listed time period, with releases approximately monthly or approximately quarterly as appropriate. Each release is based on the most recent dissemination from the data sources currently available at the time of the release.